In most tea-producing countries, the best teas are plucked by hand. 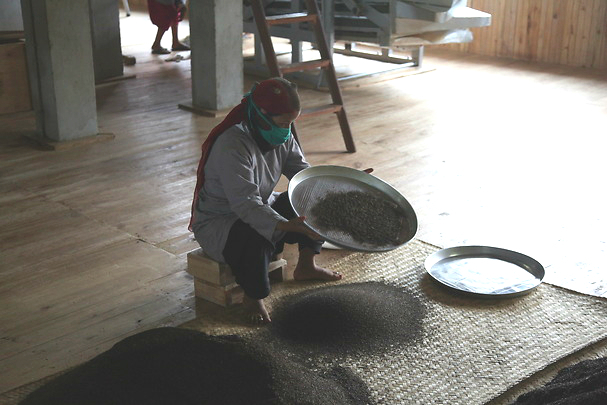 This means that growing high quality tea often requires the participation of many men and women. Not only is harvesting the leaves a meticulous task, but sorting them just before they are packed and dispatched is also done by hand. The work demands incredible patience. After rice, tea is the agricultural resource that employs the greatest number of people around the world. Tea and rice have a lot in common. Firstly their shades of green, with the occasional touch of yellow, so delicate and varied, so intense. A feast for the eyes….